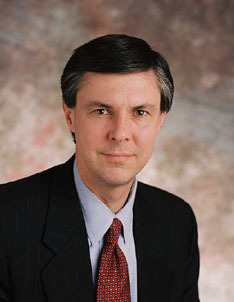 Brink Lindsey, a registered Republican, was for many years associated with Cato, was an editor of Regulation, Cato Unbound and Director of their Center for Trade Policy. What is most intriguing to Lindsey is the possibility of a liberal-libertarian alliance. He imagines both the liberals and libertarians maturing. He observes that the liberals are already giving up attachment to the socialist ideal and are more likely to embrace free market policies than conservatives. Libertarians, in his view, would be best served by separating from social conservatism, and by recognizing the limitations of capitalism. Given finite resources and negative externalities, corrective and incentivizing social policies are definitely required. There is no more unlimited abundance to be had on a frontier; certain limitations must be accepted for freedom to flourish. Strict libertarianism is simply insanity. But if both sides can mature in the required ways, the stage is set for a happy convergence, a new political identity that happily reinforces the legacy of freedom and tolerance found in both liberals and libertarians. At the same time, with market-based policies such as incentivizing carbon taxes, citizens will succeed in achieving the social policies that are effective and least invasive, allowing maximal possible freedom given modern conditions.